Travelling Post Office ( TPO ) attached to trains were first introduced in Victoria. 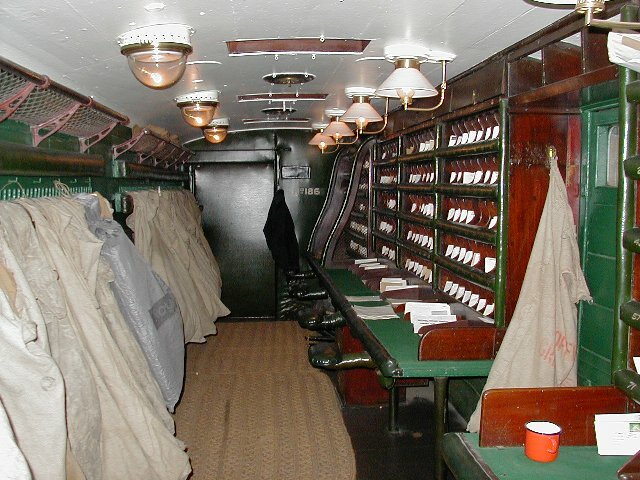 These were special vans attched to trains in which post office employees sorted the mail enroute, enabling prompt delivery when the train reached its destination. 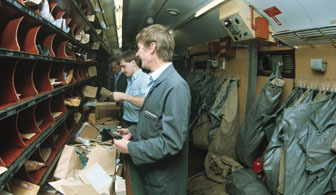 They allowed mail to be sorted in transit, speeding up delivery to country areas. the last TPO was withdrawn in 1985. The TPO service on the North Coast NSW Mail began in 1947. The North Coast Mail train exchanged mail collected at and delivered to New South Wales coastal centres like Maitland, Taree, Kempsey, Coffs Harbour and Grafton, as well as many smaller towns along the way. In the Movie Below, Tom Daly, Warren Smith, Geoff Bent and Jerry Goddard set up equipment in the 70-year-old carriage and begin the mail sort for the final journey of a TPO in Australia.